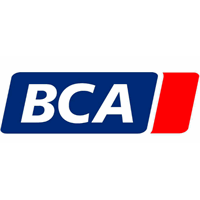 BCA Marketplace Plc (LON:BCA) has delivered another strong set of results, which are 6% ahead of our forecasts at the adjusted PBT level. The strong YOY growth delivered across all headline measures is testament to strong execution and a quality business model faced with uncertain market conditions. We are maintaining our forecasts on the back of these results. H1 results: Despite some supply pressures, revenues were +22% YOY and 12% ahead of our headline forecast. This was driven by higher volumes (indicating market share growth), higher average vehicle prices in the remarketing divisions as well as outsourced remarketing contracts. Adjusted EBITDA was +12.7% YOY and 3% ahead of our forecast. Adjusted PBT growth was higher than EBITDA and 6% ahead of our forecasts aided by lower than expected interest costs. Adjusted EPS was 5% ahead of our forecasts and +18.5% YOY, which we believe shows impressive growth given the current market backdrop. The interim dividend was in line with our forecast and +15% YOY, which we believe reflects the board’s confidence in the future. Key drivers: UK Re-Marketing revenues were +23.5% YOY with volume growth of +3.1% during the period in a new and used car market that was down suggesting good market share gain.. Adjusted EBITDA of £55.4m was ahead of our forecast of £51.4m and +17.1% YOY. In International Volumes were +8.0% YOY at 189k units and marginally ahead of our forecast (188k). Adjusted EBITDA was £15.8m vs. our £15.6m forecast and +23.4% YOY with margins advancing to 18.3% from 17.8%. WBAC continues to deliver strong growth in a controlled manner with volumes +14% YOY at 122k units (ZC 124k). Services struggled due to supply pressures, and adjusted EBITDA was -22.4% YOY at £8.4m, which compared to our forecast of £11.2m. We would expect conditions in this division to remain difficult until the year end at the earliest. Forecasts: The trading outlook is positive, with management remaining confident of hitting full year expectations. Our forecasts are towards the lower end of the consensus range, which we will keep unchanged. Investment view: We continue to remain comfortable with our original thesis based on the current dynamics we see unfolding across its markets. We also take comfort in the resilience and growth still generated in uncertain market conditions. We believe the growth potential remains significant across all divisions. Our DCF model points towards a NPV of £2.9bn, with an attractive progressive dividend yield of c4% on offer.